Caramel/ Chocolate shades anyone? I will say Yes to both of them: the sweets and the colors. 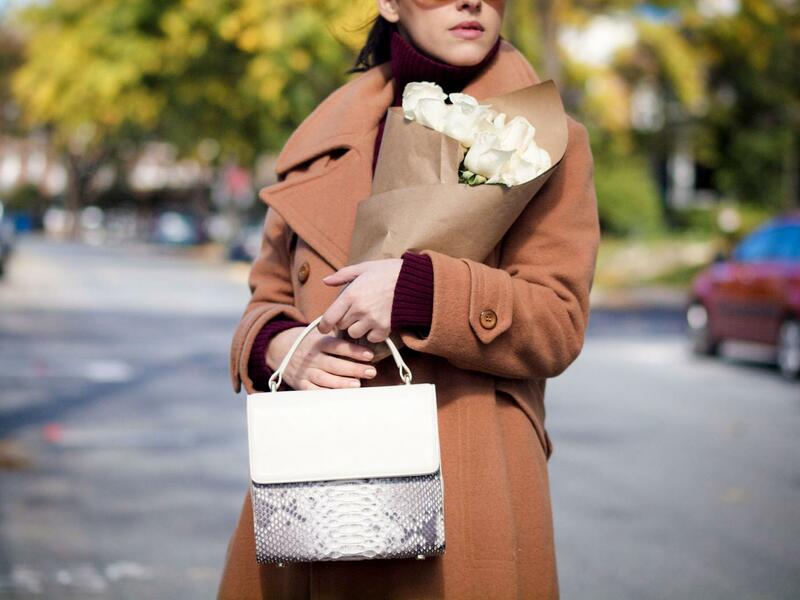 Fall is all about cozy, warm textures and rich colors. With these being said, I put on hold for a while my popping colors and I replaced them with these earthy colors. And, because it was a sunny but chilly day, I put on a burgundy sweater, leather pants ( luckily for me they still fit me ) and some pointy heels ( like usual) and I went for a hot chocolate and fresh roses in the neighborhood. This is such a beautiful look! 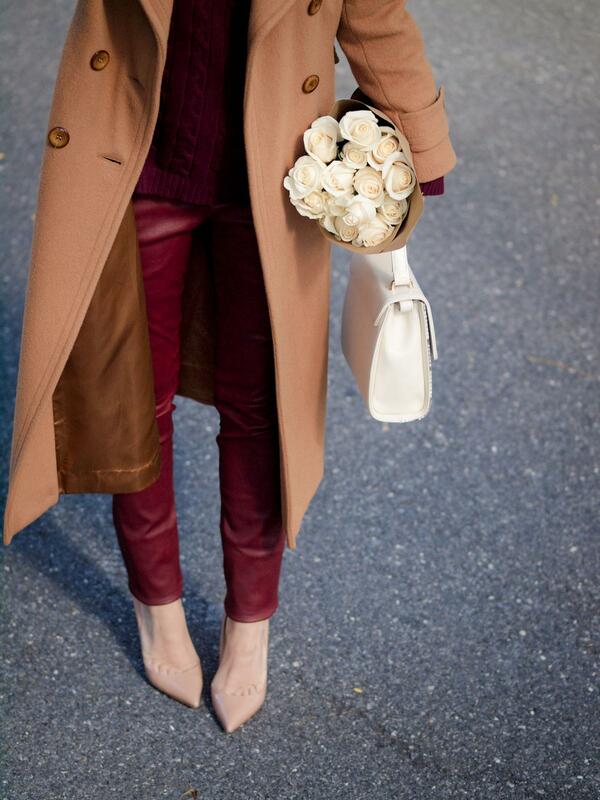 Love the color palette and the classy pieces! Fantastic coat and sweater! You look outstanding! 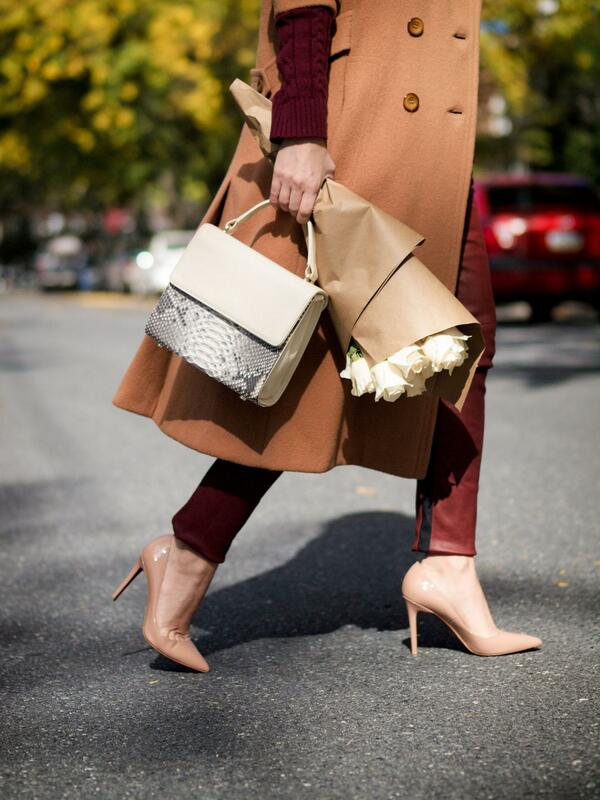 Love the camel against the burgundy!